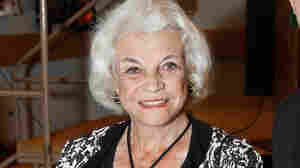 First NPR coverage of First: Sandra Day O'Connor by Evan Thomas. News, author interviews, critics' picks and more. Based on exclusive interviews and access to archives, an authoritative portrait of America's first female Supreme Court justice includes coverage of her convention-breaking achievements and role in shaping decades of American law. By the best-selling author of Being Nixon. Illustrations. March 15, 2019  First is unlike any other book written about the justice. Evan Thomas breaks new ground with extraordinary access to O'Connor, her papers, journals — and even 20 years of her husband's diary.